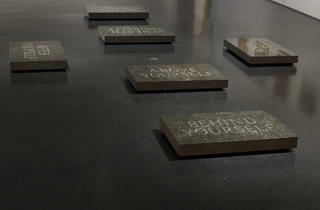 &quot;Without You I'm Nothing,&quot; Museum of Contemporary Art, through May 1. Worldwide icon-chevron-right North America icon-chevron-right United States icon-chevron-right Illinois icon-chevron-right Chicago icon-chevron-right "Without You I'm Nothing," Museum of Contemporary Art, through May 1. "Without You I'm Nothing," Museum of Contemporary Art, through May 1. Tony Oursler, Guilty, 1995. Collection Museum of Contemporary Art, Chicago, restricted gift of Dr. Paul and Dorie Sternberg. 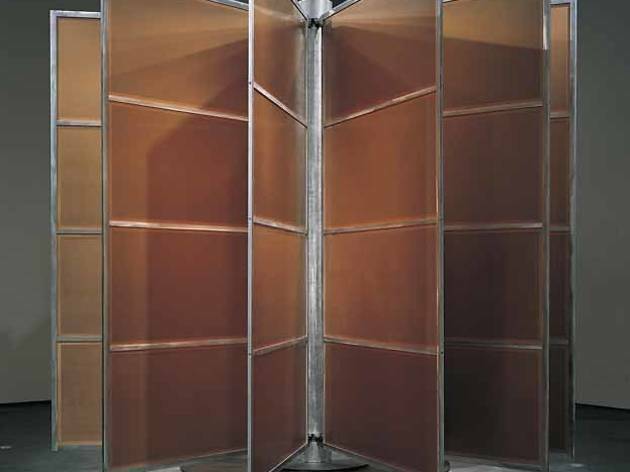 Chris Burden, The Other Vietnam Memorial, 1991. 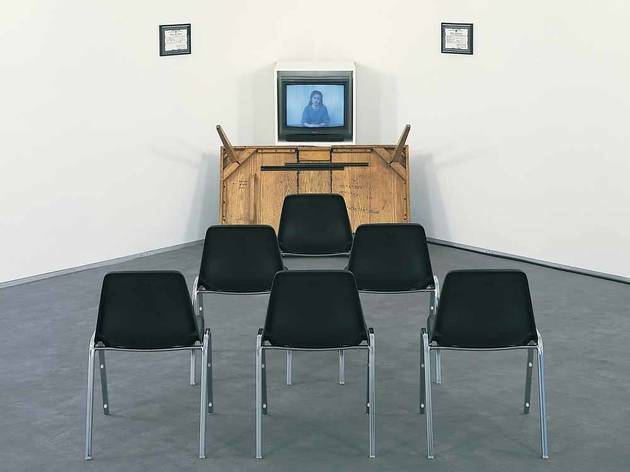 Collection Museum of Contemporary Art, Chicago, gift of Lannan Foundation. 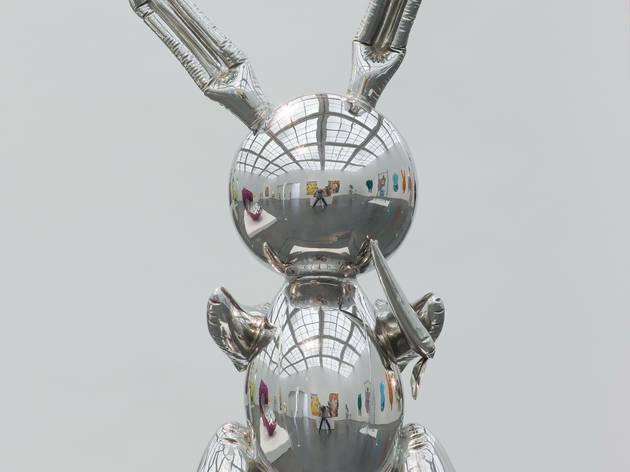 Jeff Koons, Rabbit, 1986. Collection Museum of Contemporary Art, Chicago, partial gift of Stefan T. Edlis and H. Gael Neeson. 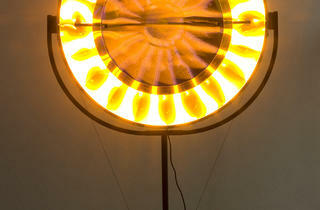 Photograph: Nathan Keay, � MCA Chicago. 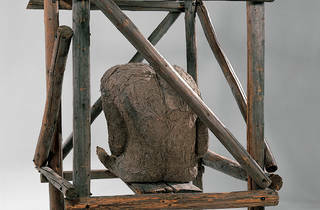 Magdalena Abakanowicz, Cage, 1981. Collection Museum of Contemporary Art, Chicago, gift of Ralph I. and Helyn D. Goldenberg. 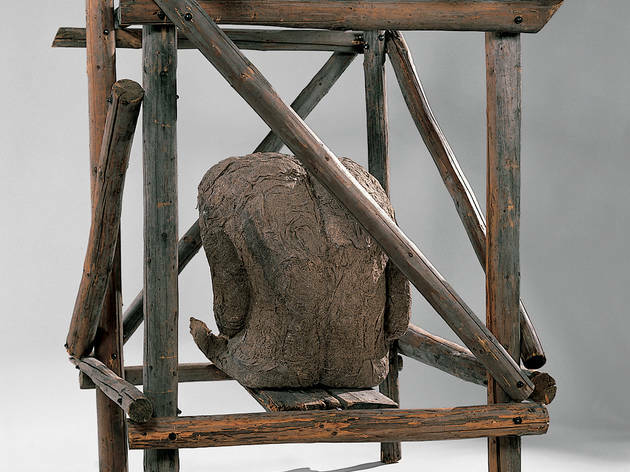 � 1981 Magdalena Abakanowicz. 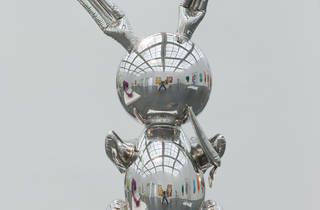 Photo � MCA Chicago. 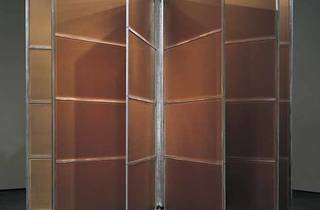 Andrea Zittel, A-Z Cellular Compartment Units, 2001. Collection Museum of Contemporary Art, Chicago, gift of Marshall Fields by exchange. 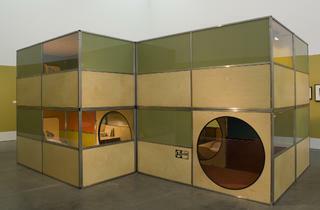 Andrea Zittel, A-Z Cellular Compartment Communities #5, 2002. Collection Museum of Contemporary Art, Chicago, gift of the artist and Andrea Rosen Gallery in appreciation of the museum's commitment to the artist's work. Felix Gonzalez-Torres, "Untitled" (The End), 1990. Collection Museum of Contemporary Art, Chicago, restricted gift of Carlos and Rosa de la Cruz; Bernice and Kenneth Newberger Fund. Olafur Eliasson, Eye see you, 2006. 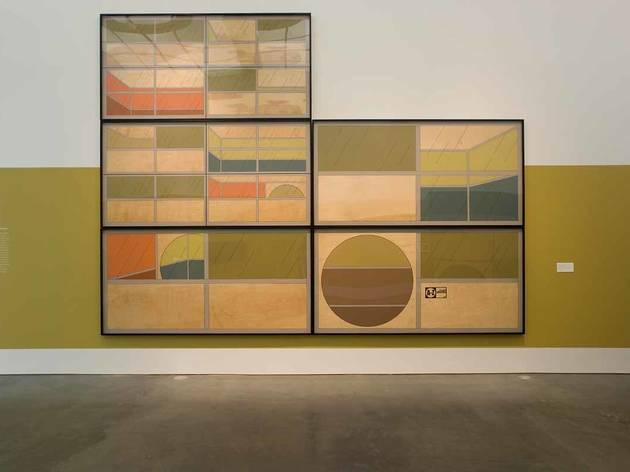 Collection Museum of Contemporary Art, Chicago, gift of Rosina Lee Yue and Bert A. Lies, Jr. MD in honor of Stefan T. Edlis and H. Gael Neeson. 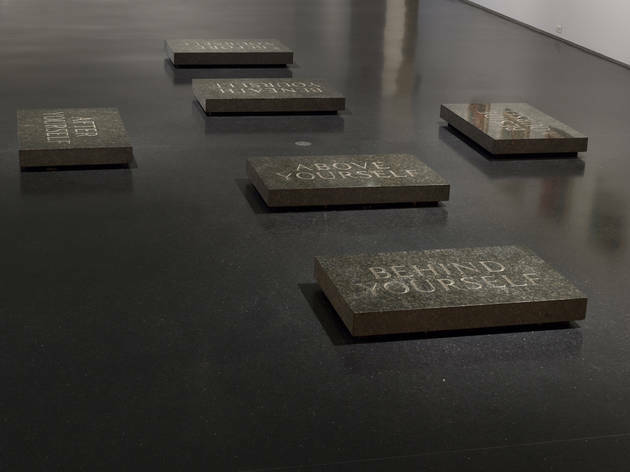 Bruce Nauman, Elliott's Stones, 1989. Collection Museum of Contemporary Art, Chicago, Gerald S. Elliott Collection. 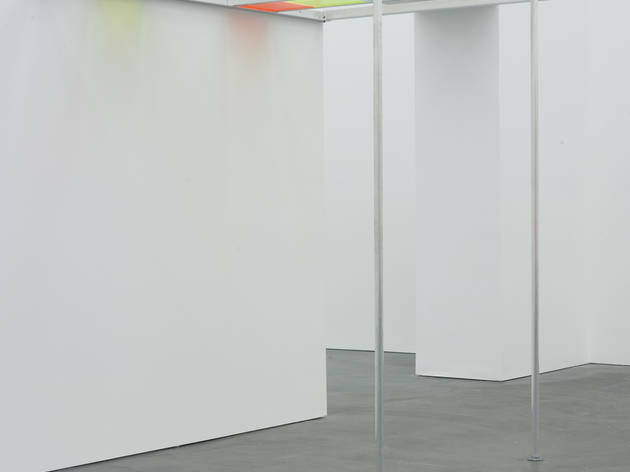 Liam Gillick, Untitled ("The What If? 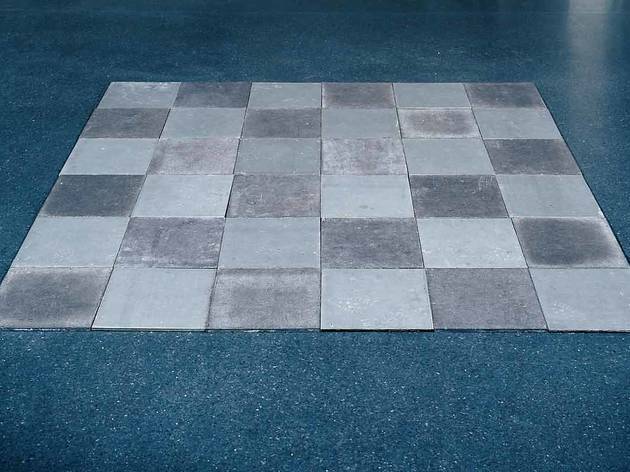 Scenario" Discussion Platform), 1996. Collection Museum of Contemporary Art, Chicago, gift of Rena Conti and Ivan Moskowitz. 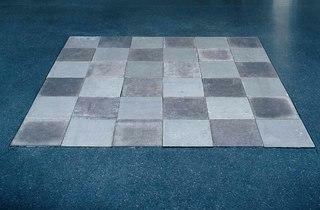 Carl Andre, Zinc-Lead Plain, 1969. Collection Museum of Contemporary Art, Chicago, Gerald S. Elliott Collection. Adrian Piper, Cornered, 1988. 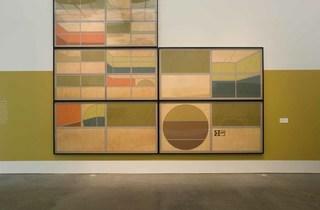 Collection Museum of Contemporary Art, Chicago, Bernice and Kenneth Newberger Fund. 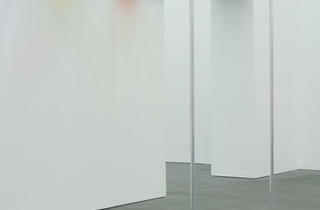 As the lacquered disc in Robert Irwin’s Untitled (1965–67) generates an optical illusion on the MCA’s wall, someone across the gallery sneers, “That’s disgusting. How could you even think that? Oh, that’s sick. 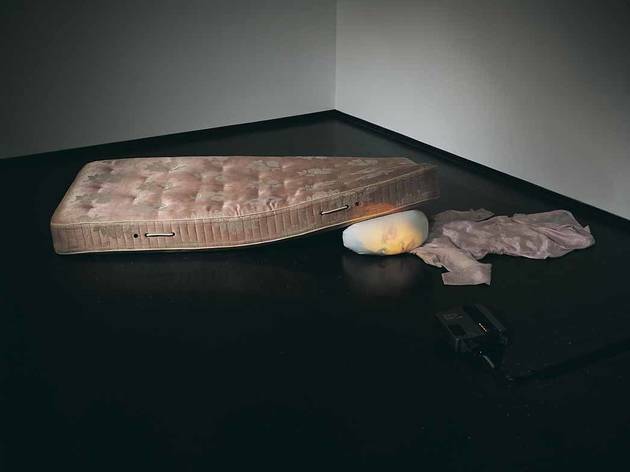 How can you be that sick?” It’s Tony Oursler’s adjacent installation Guilty (pictured): The woman spouting accusatory remarks is a projection on a pillow, which is squashed by a mattress. Culled from the MCA’s collection, “Without You I’m Nothing: Art and Its Audience” is devoted to art’s relationship to its viewers. 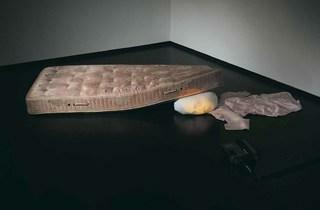 Oursler’s piece represents a type of engagement different from that of more subdued works, like Irwin’s. Its creepy spectacle taps into the human tendency to turn toward the awful or obscene. This exhibition makes us extra cognizant of our knee-jerk reactions to art, whether we’re dazzled, distracted, startled or amused. One gallery highlights visual engagement, the other, physical interaction, all accompanied by thoughtful, detailed wall text. 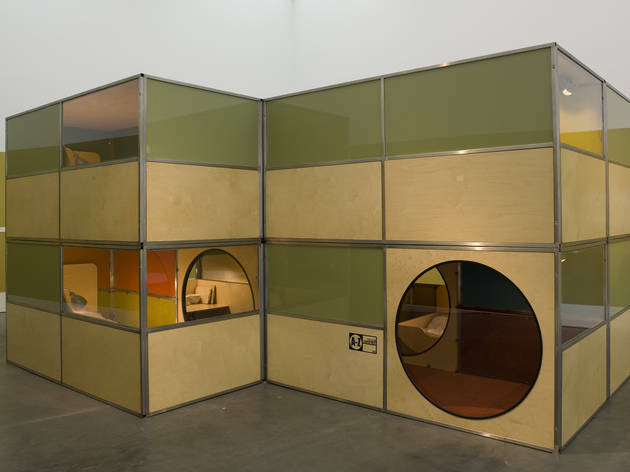 Andrea Zittel’s A-Z Cellular Compartment Unit (2001) welcomes visitors to climb inside and delight in the structure’s brilliant and functional tiny living space. 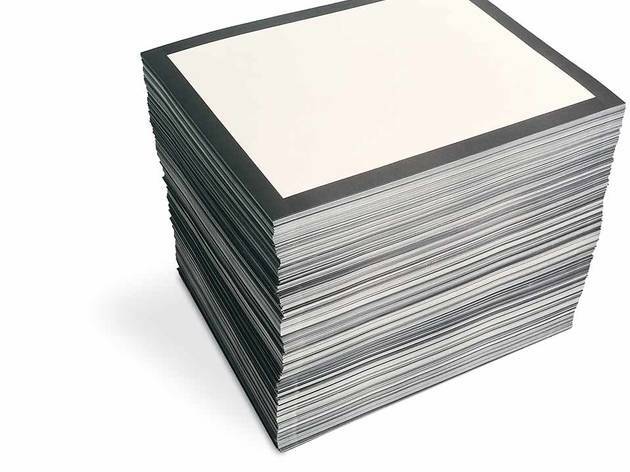 We must also interact with Chris Burden’s The Other Vietnam Memorial to appreciate it: Etched with the names of 3 million Vietnamese people (real and imaginary), the Rolodex-like sculpture symbolizes those killed during the United States’ involvement in Vietnam. 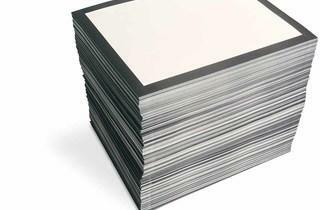 The gravity of the seemingly endless names is only apparent close up. 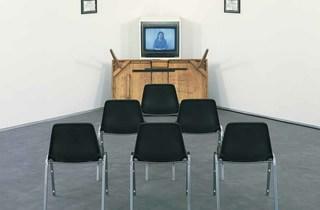 The exhibition’s Interactions performance series begins Tuesday 4.